Ants have lived on the earth a long time. They lived when dinosaurs ruled the earth about 120 million years ago. There could be as many as 100 trillion ants! Ants help keep the earth clean and help get rid of pests. They turn over soil and build tunnels which helps keep water and nutrients moving in the soil. Ants are social insects. Ants live together in homes called colonies. These colonies have nests where the queen lays eggs. Queens are the only ants that can lay eggs. Besides queens, there are many different types of ants, called castes. Most ant species have flying ants, workers and soldiers. 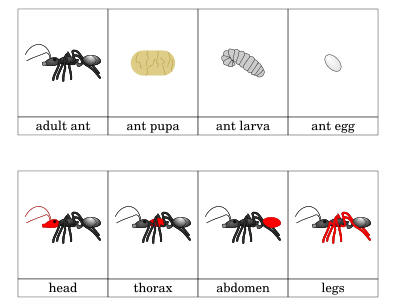 Flying ants are males and immature queens. After ants fly and mate, the queen rips off her wings and borrows a new colony. 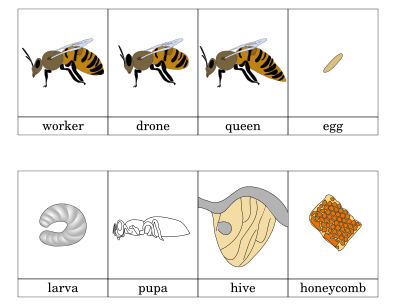 Some ants have multiple queens in a single colony or ant hill. The queens communicate with the rest of the colony through scents. Ants also leave scent trails to help other ants find food or home. Many ants sleep during the night like we do. Study ants in your neighborhood. Ants are almost everywhere. What Type of Mother Hen Are You?